My next trip to Italy was for a stay of 3 months. For the first 4 weeks of that trip I stayed in a lovely village called Castelraimondo, which is a commune (municipality) in the Province of Macerata in the Italian region Marche. 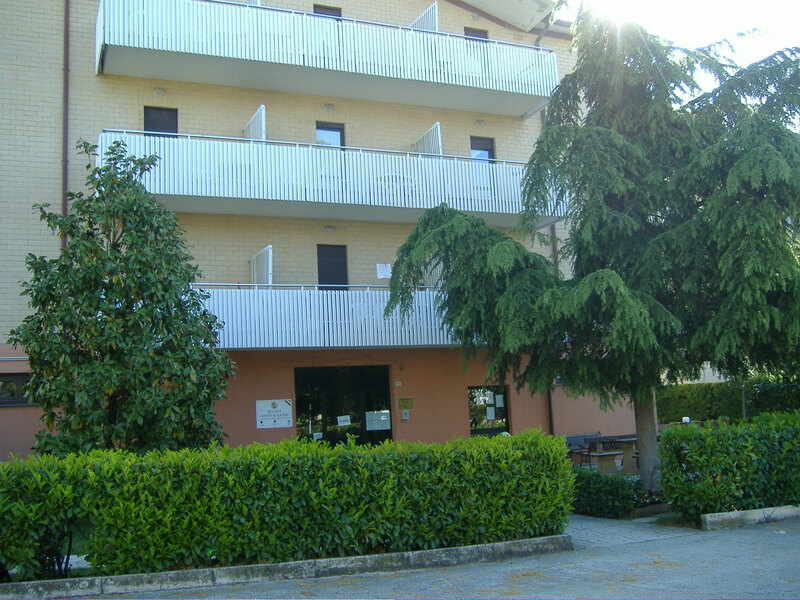 This is where I attended Italian Language School. I had never entertained the idea of going back to school but once I had made the decision, I was so excited to go. This was one of the best decisions I have ever made. I almost felt like a 5 year old looking forward to my first day at school. It was 4 fabulous weeks. The cost of the 4 weeks covered my 4 weeks of tuition, my accommodation, many excursions including half day outings and also weekends away. There were many nights of entertainment including film nights, pizza and gelato night, karaoke night, international dinner night plus nights out with my new school friends. I stayed in a 2 bedroom apartment which was at the school and I shared with a lady from Brazil. The school was a 1 minute walk from the apartment. There was a great super market (supermercado) about 2 mins from the school plus a bar and café. We went to the bar every day in our break (pausa) for a cappuccino and to catch our breath. 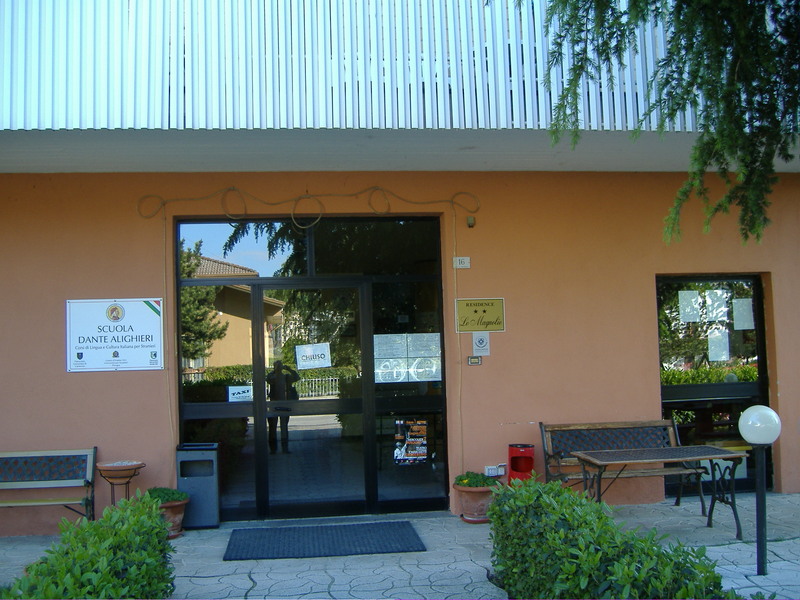 There is a lovely language school in Lucca and hopefully we will have one in Bagni di Lucca one day soon. Hi Debra, thanx for your comment. I hope you do get the language school. Good for your village and great opportunity for travellers to see your beautiful area. I too enjoyed my stay at language school…a fantastic time. Even though we used to “wag” to go to the markets! Thanx Mary, there will be a post on “wagging” school coming soon. Lyn you have captured Italy so beautifully, I cannot wait to return myself and feel privileged to have spent some wonderful days at Pieve with you. Your knowledge of Italy and travelling is so abundant and you are always so excited about sharing this with others. Very informative Lyn, i know who i will be conversing with for expertise if i should ever have the humbled pleasures of taking off and exploring the pale blue beautiful planet. Thanx Zade, Glad you liked it. It will be my pleasure as you know that travel and talking about it is my passion. What a wonderful idea and something I would like to do. Thanks for sharing. Brava! Imparare una lingua straniera è il modo per ampliare i propri orizzonti culturali e conoscere meglio gli altri. Someone said: “If you talk to a man in a language he understands, that goes to his head. If you talk to him in his language, that goes to his heart”. I think he was absolutely right! It was one of the best things I have ever done. I was living the dream.